Phuket is known for its white, sandy beaches, bright sun, clear water, hot and humid temperatures all year round. Also, Phuket is known to be one of the hotspots for sightseeing to known locations from movies and series, such as James Bond- and Phi Phi island. Millions of tourists choose this location for their honeymoon, vacation or even for weekend retreats – and rightfully so. We all know that by now, as Phuket has been advertised very thoroughly and extensively throughout the years and decades, and continues to do so. This is not what this article will be about. 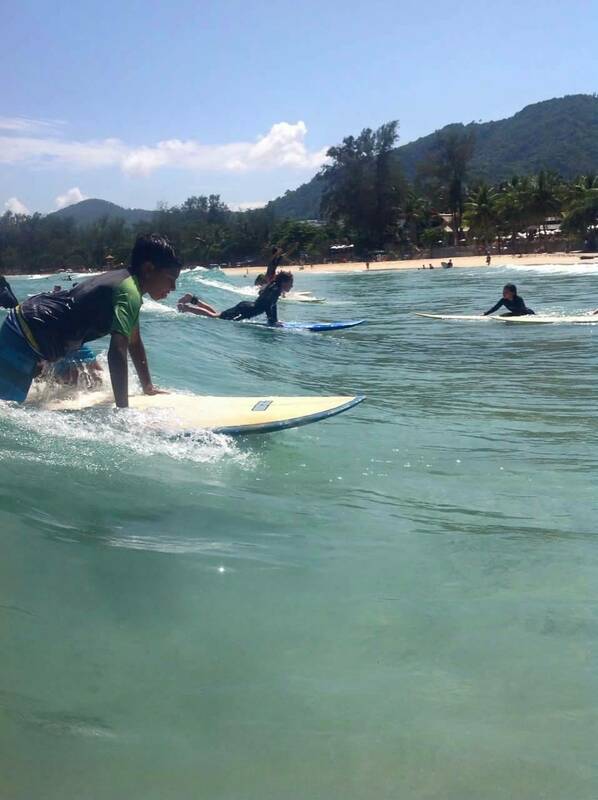 What Phuket is also very known for, maybe not quite as much yet, is the rich opportunities of going surfing on the rich variety of waves around the island. You’ll find rich possibilities to ride the waves here, whether you’re doing your first steps on a board or practically live on one, here’s rich possibility to find a suitable wave for your proficiency level. 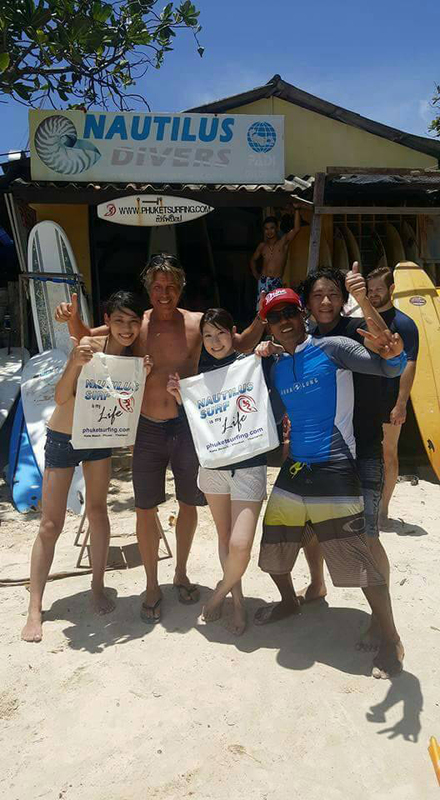 At Phuket Surfing in Kata Beach you don’t only find a surf school that teaches you how to surf – you also make new friends from a wide array of countries. Our surf guides know what they’re doing, they know the waves, the possibilities – and they live their dream of going surfing every day. Their passion for surfing is something that shows in their classes, as they’re driven by teaching you what they already know for so long – the freedom of surfing the waves on a board. Don’t let the word school frighten you. We know that you are on holidays and prefer the laidback lifestyle here. We know that duties and chores are not something you’d want during your vacation. When we call it school, we mean that we will “school” you about how to surf, so you can go and ride the waves with us in a heartbeat. Come get the unique feeling of freedom and tranquility when riding a wave while taking in the smell of seawater and the fresh breeze around you, as you slide across the waves. That’s the freedom, that’s what dreams (and lifelong surfers) are made of! You’ll find our surf enlightenment (yes, we did use a different word other than school here) only steps away from Kata beach in Phuket. No matter your size, no matter your age or fitness level, we’ll teach you all there is to know about riding a board, riding a wave and how to “conquer” the sea by letting it carry you across it on the rich variety of waves. Our guides have years of experience, speak English very well and are constantly updated about where the best waves are to be found around the island – at all times. Let’s just say they are born with a “wave-radar” in order to locate the best waves there are to be surfed on. To see what others have experienced and what is in store for you, take a look at our gallery section (https://www.phuketsurfing.com/gallery/) and get a first feeling of what awaits you. Get yourself ready and geared up. On with the wetsuit, off to “school”. We’re going surfing!